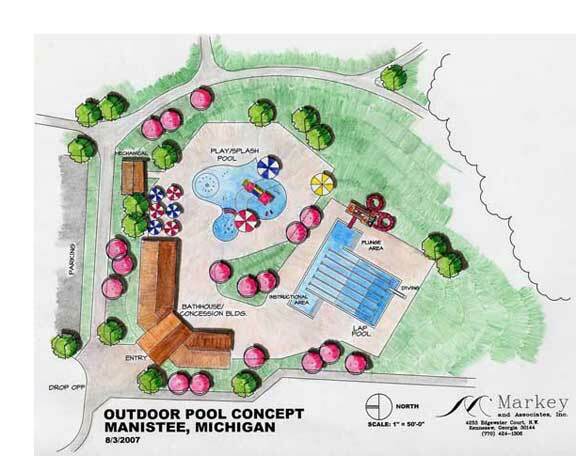 Master Plan Rendering, Outdoor Pool | Markey and Associates, aquatic design consultants. Feasibility Study conducted to provide the basis for making the decision on whether to move forward to initiate, construct, and operate an aquatic facility. If built, project cost expected to be $5,500,000.